To read this report in .pdf form, click here. Alabama's HB 56 is a self-inflicted wound—the product of short-sighted lawmakers unable to see beyond the most immediate political opportunity. Though the impact of similar anti-immigrant laws in Arizona and Georgia clearly foreshadowed its legal and economic fallout, HB 56 was passed with little regard for the hardships those states have experienced. The result is a crisis that harkens back to the bleakest days of Alabama’s racial history. It is a crisis that could have been avoided—one that certainly must end now. A family goes 40 days without running water because their “papers” are not in order. A health clinic refuses to treat a young girl due to her immigration status. Days later, she undergoes emergency surgery. A man brandishes a gun to day laborers, then refuses to pay for their work. These are just a few of the stories told by Latinos who are living under the cloud of Alabama’s newly enacted anti-immigrant law, HB 56. Like the Arizona law it was modeled after, Alabama’s law grants police the authority to demand “papers” demonstrating citizenship or legal status during routine traffic stops. But it does much more. In Alabama, where undocumented immigrants comprise just 2.5 percent of the population, lawmakers added a slew of cruel provisions designed to create a law that, in the words of a key sponsor, “attacks every aspect” of an undocumented immigrant’s life. The result was the harshest anti-immigrant law in the nation—a law that virtually guarantees racial profiling, discrimination and harassment against all Latinos in Alabama. HB 56 attacks not only “every aspect” of an immigrant’s life in Alabama—but also basic human dignity and our most fundamental ideals as a nation. The victims are mothers, fathers and children—often people working hard to overcome crushing poverty and build a brighter future against long odds. Thousands of children—many of them U.S. citizens who have every right to be here—are now living in fear of losing their parents and are afraid to go to school. Shortly after the law took effect, the Southern Poverty Law Center and its allies established a hotline for residents to report how the law affected them. Almost 1,000 calls poured in during its first weekend of operation. By late January 2012, more than 5,100 calls had been received. This report contains stories reported to the SPLC through the hotline and other channels. They illustrate the devastating impact HB 56 has had on Alabama Latinos, regardless of their immigration status. The stories also illustrate that HB 56 has unleashed a kind of vigilantism, leading some Alabamians to believe they can cheat, harass and intimidate Latinos with impunity. These consequences were easily foreseeable. The law was forged within a legislative debate rife with stereotypes, misinformation, incendiary rhetoric and bigotry. The Senate sponsor told colleagues they needed to “empty the clip” to deal with immigrants. The House sponsor, Rep. Micky Hammon, cited the increase in Alabama’s Latino population to illustrate the growth of the state’s undocumented population. Hammon’s conflation of “Hispanic” with “illegal immigrant” during the legislative debate was so egregious that a federal judge cited it in a recent opinion. When legislators supporting HB 56 can’t distinguish between ethnicity and immigration status, it should be no surprise the law brings the chaos and confusion described in the following pages. As the Latinos whose stories are told here can attest, HB 56 has been a dangerous, failed experiment—a humanitarian disaster. It is not a mere reflection of federal immigration law, as some supporters suggest. Federal immigration law does not require school officials to question students about their immigration status. It does not invalidate contracts based on a person’s immigration status. And it does not make it a crime to give someone a ride. Yet HB 56 contains these provisions and more. Whether through ignorance or design, HB 56 sends a destructive message of intolerance to Alabama’s Latino residents and sullies the state’s reputation in the eyes of the world. It gives a nod and a wink to the worst prejudices harbored by some residents. The message is being heard loud and clear. Carmen Gonzalez was born in Texas but has lived in Foley, Ala. for most of her life. She's a U.S. citizen. Her husband has legal status, and she has two children who are citizens. Supporters of HB 56 say Carmen and her family shouldn’t be worried about the new law. But that’s not the reality they have experienced. In December, Carmen received a reminder of the xenophobia and hostility that the law has engendered in Alabama. She was running an errand when she noticed a piece of paper in the floorboard of her vehicle. She realized that she had left her window slightly cracked. Someone must have seen the flyers on her vehicle advertising a meeting for area Latinos. State lawmakers may have given assurances that HB 56 won’t lead to racial profiling, but members of the state’s Latino community are well aware the terms “Hispanic” and “illegal immigrant” are often used interchangeably in Alabama. Carmen has helped support other Latinos who fear they will be racially profiled by police as they drive through the community. She has driven them to work, school and helped them complete errands. 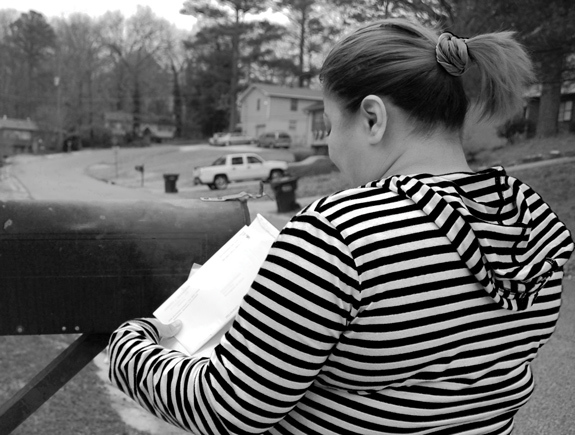 Though it’s been stressful, Carmen wants to help her community in the face of an unjust law. She has signed legal documents to be the guardian of several children, providing some peace of mind to parents worried about what may happen to their children if HB 56 fractures their family. Sadly, in October 2011, Carmen had a miscarriage. She hates to think that the stress from the law caused it but believes that “it’s possible.” Still, she continues to speak out against HB 56 on behalf of the Latino families living out of their suitcases as they weigh the possibility of leaving Alabama. Martha was pulling out of a restaurant parking lot in central Alabama when she saw the police lights flashing behind her. She hadn’t been overly concerned about HB 56. She’s married to a U.S. citizen and is in the process of adjusting her status to comply with immigration law. Now, she was worried, particularly because she feared being separated from her young son, Julio, a U.S. citizen who was in the car with her. The officer asked Martha, 19, for her license. She didn’t have one. He asked her for any form of identification. She obliged. Martha would later learn that she was stopped for not having her lights on. She called her husband, and soon her husband’s aunt arrived at the scene to pick up Julio if necessary. But the aunt left empty-handed; a social worker took the toddler. Three additional officers were on the scene of this traffic stop in a county with a population of less than 45,000 people. Martha was arrested for violating HB 56 and taken to jail. “I didn’t know how long I would be there without seeing my son, my husband and my family,” Martha said. “It was very difficult. The most difficult thing for me was when they put me in handcuffs.” Fortunately, her husband was able to pick up Julio that night. While in jail, an official gave Martha an earful. It’s a monologue she heard repeatedly over the next two days. Immigration officials picked up Martha three days after her arrest and took her to Montgomery, where she was released later that afternoon. Her stepfather and other community members had been working to get her released. The experience has changed Martha. She believes people look at her differently now that she has been to jail. It was only three days of landscaping work, but Hortensia decided to take the job. She and a friend were promised $7.50 an hour to clear a plot of land and plant trees. The boss seemed to appreciate their work. He treated them well and gave them a full hour for lunch. But that would all change. As an undocumented Mexican immigrant in Alabama, Hortensia would learn that under HB 56, there’s not much you can do when your employer won’t pay you. In fact, she believes the new law helped give her boss the confidence to deny her the money she earned. During the first two days, the boss praised their work. On the final day, things took a turn for the worse. They were asked to clean up a trailer that hadn’t been used in years. Hortensia pulled out wet and moldy furniture, including old mattresses filled with bugs. She wondered why he wanted them to clean a trailer that was in such disrepair. It didn’t make sense. The boss’ demeanor had changed. At one point, he showed Hortensia and her friend a gun he had at his side, saying it was for protection. He then left for the bank. When he returned, he was angry. He yelled at them for supposedly doing a terrible job. The two women were scared of the gun. He disappeared into a trailer. Hortensia wanted her pay, but it was quitting time and her friend was the only ride home. She left but was determined to get paid. A few days later she went to her boss’ house with her son-in-law. When he finally answered the door, he again yelled about how terrible her work had been. Hortensia and her son-in-law told him it wasn’t true. She only wanted her pay. He pointed the gun at Hortensia and her son-in-law. They left. A police report was filed about the incident, but nothing happened. Hortensia has yet to receive her wages. 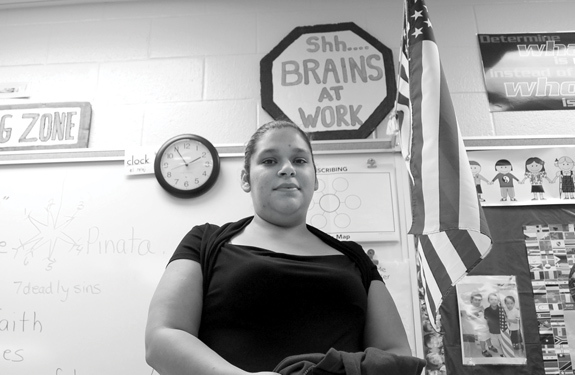 Laura knew something was wrong with her 13-year-old daughter, Alejandra. The 37-year-old mother of four was once a nurse in Mexico. She knew Alejandra’s fever could signal something serious. The Birmingham resident gave her daughter a Tylenol and took her to a local health clinic that had treated her family in the past. She was prepared to pay. But this visit on Nov. 8, 2011, was different. Provisions of the state’s anti-immigrant law, HB 56, were in effect. Though Laura insisted that the clinic staff do something for Alejandra, they only took her temperature. They said that, because of HB 56, the clinic could no longer treat undocumented immigrants. A few days later, Alejandra was rushed to a hospital emergency room, where she underwent surgery for an abdominal abscess. Laura believes that if the clinic had examined Alejandra, it may have been possible to avoid surgery. And despite claims of undocumented immigrants taking advantage of free medical treatment, Laura is facing $2,000 in medical bills. She wonders if hospital staffers believed her daughter was getting free medical care and resented the family for it. In the wake of HB 56, Laura initially kept her children out of school for two weeks, fearing they would be singled out for harassment. “My kids told me there were no [other] Hispanics at the school, so I didn’t let them go,” she said. There have been other problems as well. Laura was robbed while waiting for a bus in Birmingham. A police report was filed, and Laura and her two daughters could receive temporary visas since she was a crime victim. But for now, Laura and her family are trying their best to live under HB 56 and all its consequences—intentional and unintentional. The future looks difficult. Though Laura, her husband and two daughters are currently undocumented, her two sons are U.S. citizens. She worries about what could happen to her family if she’s ensnared by the law. Arcelia quietly operated a hair salon for seven years. The clientele was diverse. She had Mexican and American clients. They liked her work and they were loyal customers. Her skills with a pair of scissors earned her a new client. Arcelia is an undocumented immigrant from Mexico. Within the walls of her hair salon, the rancor of the immigration debate didn’t seem to matter. Arcelia and her salon were part of the community. But the passage of HB 56 threatened to destroy her business and shatter her family. Arcelia’s business permit expired in September. At the end of the month, when provisions of HB 56 took effect, she received a phone call from an official informing her that if she didn’t renew her business permit, she would be fined $10,000. She was warned that if she decided to work without a permit, she could be arrested. It was Friday. She had until Tuesday, the official told her. When she went to renew her permit, she was asked for an identification from Alabama and her Social Security card. There was no way she could comply. “I told them I have those things in my car, but then I went out to my car and never went back,” she said. “I left with my self-esteem so low. I was so depressed that they wouldn’t renew my permit.” She decided to close up shop. She couldn’t risk being taken away from her three daughters, all of whom are U.S. citizens. “I thought [it’s] better to stop working, because who will take care of my girls if someone takes me away?” she said. It looked as if HB 56 had claimed a small town’s business in the midst of tough economic times. A law that some supporters claimed would stop undocumented immigrants from coming to Alabama to claim benefits they don’t deserve had left Arcelia unemployed. She cleaned out her shop and locked up the items in a small hutch behind her trailer. Other items sat in her yard. Life was on hold. The hopes and dreams she and her husband had for their family began to crumble. The family had their eyes on a house. They had saved enough money for a down payment and were about to buy it when HB 56 passed. With one of the family’s breadwinners out of work, the money they had saved quickly evaporated. Arcelia’s clients also missed her. Arcelia was eventually able to return to work. As the legal battle against HB 56 continued to play out in the federal courts, it became possible for her to receive her business license with no fear of arrest. Arcelia could cut hair again. But a few things have changed. A new salon moved into the location of her old business during the time she was unable to work. Arcelia opened a new salon in a nearby town. She said it’s like starting over. When she was out of work, she kept her chairs and some other equipment in her front yard where they were damaged by the weather. It cost her about $4,000 to get new equipment and start over. She also has to find new clients since she’s in a new town. It’s all part of the lingering effects of HB 56, which turned her life upside down. And there’s always the possibility HB 56 may affect her life in the future. But for now she’s keeping a positive attitude. “Sometimes a door gets shut and then another opens,” she said. Shortly after Alabama passed HB 56, Enrique Corral, a 35-year-old Latino man who was born and raised in Texas, went to buy beer at a big box retailer near his suburban Birmingham home. He thought it was odd. As he took out his wallet, the cashier emphasized the type of identification she wanted. “A-mer-i-can,” she said, stressing every syllable. Enrique asked the cashier if a tourist visiting the United States would be unable to purchase beer from the store. He left the store angry. Enrique’s parents legally immigrated to the United States in the early 1980s. He’s a citizen and the brother of a U.S. Marine, but it appeared none of that mattered because he’s also a Latino living in Alabama. Enrique said the state’s anti-immigrant law has had a disturbing effect on people harboring prejudices against Latinos. Jorge was driving home from work in a small town in South Alabama late one night when he was pulled over by the police. It was a traffic stop that would end with the police charging Jorge with driving without a license and for the broken light over the vehicle’s license plate. He was also charged with failing to pay a speeding ticket he had received earlier. Though Jorge, an undocumented immigrant, had to deal with the consequences of these charges, under Alabama’s anti-immigrant law, the stakes were much higher for him. Jorge faced deportation, which could have taken him away from his wife and two children, ages 4 and 7. Though he wasn’t deported at the time, Jorge was jailed and separated from his family for a month—from the first week of December 2011 until the first week of January 2012. He wasn’t with his family for Christmas. He wasn’t with them to celebrate the New Year. He was behind bars, facing the loss of his family—not because he was charged with a serious crime—but as a result of common traffic charges. The traffic stop seemed excessive to Jorge’s wife, Gladis. When she arrived at the scene, three police cars were there. Then, when she went to the courthouse, she was dismayed by what she saw. “I saw people in the court for drugs and other crimes, and then there was my husband, just there for two small tickets,” she said. Jorge was eventually transferred to a detention center in Louisiana, where he would face possible deportation. Gladis did her best to keep the children from worrying. 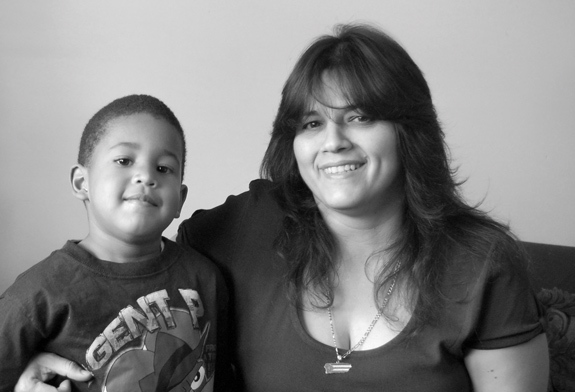 While Jorge was in jail, Gladis was able to work his job as a painter and provide money for the family. She also found a lawyer who was able to secure Jorge’s release. Gladis isn’t certain of the specifics. She knows the judge asked her husband questions about his family, which may have helped him avoid deportation for the time being. The ordeal has been expensive. The lawyer was able to reduce Jorge’s bail from $11,000 to $4,500. It was still a lot of money for the family, but it wasn’t out of reach. Gladis used her car to borrow some money. Family and community members pitched in. Now, Jorge is working constantly to earn the money to repay the debt. Gladis hopes she’ll soon be able to get back the car she leveraged. Jorge still has a court appearance ahead of him. And the family still lives in a state where a traffic stop could leave a child without a parent. But for now, Jorge and his family are together. When Carmen Vélez tried to renew her car tag in Athens, Ala., she was told she needed to show her birth certificate. She had not brought it because she didn’t think it was necessary. She returned later with two copies—and older copy and a newer one. The attendant refused to accept them, saying she need a U.S. birth certificate. Carmen was at a loss. She was born in Puerto Rico, which is, of course, an unincorporated territory of the United States. Its residents have been U.S. citizens for nearly a century. Her ordeal is an example of how HB 56 complicates the most mundane tasks for many Latinos, even those with legal status. She never had this problem before the law took effect. Carmen tried to explain that Puerto Rico is part of the United States, but it seemed futile. She became upset. Finally, the attendant asked for another form of identification. She took Carmen’s driver’s license and told her to wait. Finally, the attendant appeared after speaking with another official. Though she was able to renew her tag, she left wondering what will happen next year. How do you prove your citizenship when officials don’t believe your birth certificate is from the United States? 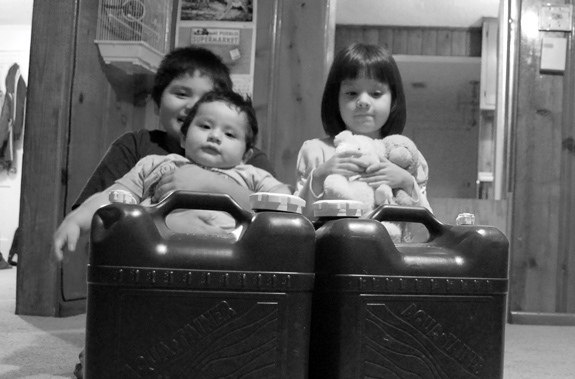 José and his family awoke one morning without running water. No water for cooking, cleaning, bathing or flushing the toilet. And no hope of getting it turned back on. It wasn’t a matter of money. José, 43, could pay a water bill. But he’s an undocumented immigrant struggling to survive in Alabama, where HB 56 and an anti-immigrant atmosphere have turned lives upside down. The problem began when José and his family moved into a rental home in a small town near Birmingham last June—the same month Gov. Robert Bentley signed HB 56. Jose had no problem getting the power bill put into his name. But when he presented a Mexican ID to the local water authority, he was told he would need an Alabama driver’s license. He didn’t have one. For months, the water kept flowing anyway. But then, on Halloween, about a month after HB 56 took effect, the faucets ran dry. There was no where to turn. But the family persevered. Every morning, José would take two large jugs to his construction job. Sometimes, he would fill them at Walmart. Other times, homeowners in the neighborhoods where he remodeled homes would let him use an outdoor spigot. They also used the water to flush the toilet. It wasn’t a perfect solution. The family could hardly bear the smell in the bathroom. Their daughter developed a urinary tract infection. The daily struggle wore her down. José and Artemia contacted a local radio station for help and were eventually introduced to a local advocate who went to the utility with the couple. “She told them that there were children in this house and that they shouldn’t be suffering,” Artemia said. The utility accepted Jose’s passport as identification and turned on the water—40 days after it was shut off. As José reflected on the ordeal, he turned to his faith. Isabel and her family saved every penny possible to buy a car, even forgoing new sneakers for her two sons. Eventually, they drove from their home to a dealership in northern Alabama where they had previously bought a car. They decided on a blue 2004 Ford Explorer. They paid $1,500 down and would pay $65 a week until the $6,400 sport utility vehicle was paid in full. Their hard work and sacrifice had paid off. Unfortunately for Isabel and her family, as undocumented immigrants in Alabama, they would learn the car they had worked so hard to buy could be taken away. It was September, the same month portions of HB 56 would take effect across the state. One day, a tow truck pulled up to Isabel’s home. She hadn’t missed a payment. She had no idea why the dealer would take the SUV. She called him, and after offering up flimsy excuses, he told her the real reason: He could no longer sell to “illegals” because he might lose his business license. Alabama’s new law does not, in fact, prohibit businesses from selling merchandise to undocumented immigrants. But it does say that contracts are not valid when one party is undocumented. That opens the door wide for unscrupulous businessmen. The dealer offered to return the vehicle—if Isabel presented a Social Security card and a green card. She didn’t have them. He refused to return the money the family had already paid. They lost nearly $3,000. Isabel and her husband drove to the dealership several times over the next few weeks to see about the vehicle. Some of the mechanics told Isabel that they thought what the dealer had done was wrong, but they couldn’t do anything about it. Eventually, the dealer made a different offer to Isabel: She could pay the full price of the vehicle and it would be returned. That wasn’t possible. After several attempts, Isabel and her husband gave up. Isabel has since heard of other undocumented immigrants enduring the same ordeal. Though undocumented immigrants are often accused of stealing jobs and other benefits from citizens, Isabel said her family was meeting their responsibilities. They had insurance, license tags—everything they needed, except a car. Her husband, Santiago, believes HB 56 has only emboldened some people to harass Latinos and discriminate against them. “There has always been some racism in this country, but since the law [was enacted] it’s like the people that are a little racist can open up more,” he said. HB 56 has created a humanitarian crisis in Alabama. Under the provisions currently in effect, undocumented persons are unable to interact with the government in any way and for any purpose. It has turned a significant class of people, effectively, into non-persons, subjecting them to a kind of legal exile. It has destroyed lives, ripped apart families, devastated communities and delivered a body blow to an already struggling economy. There is no fixing this law. It does not need to be re-written or tweaked at the margins, as some Alabama legislators have suggested. Other states hoping to emulate Alabama should consider its devastating economic consequences. In recent years, Alabama has attracted significant foreign investors; now the state is garnering headlines for the arrests of foreign automobile company employees who have every right to be here. 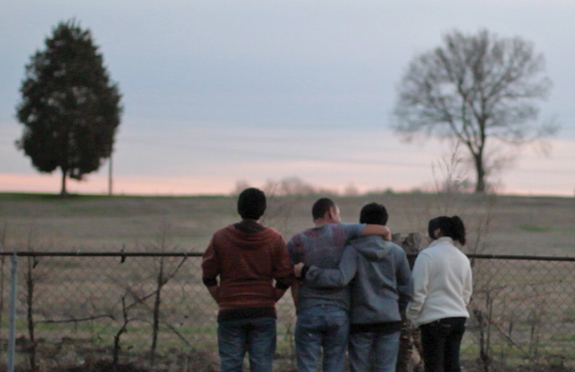 Farmworkers—regardless of immigration status—have fled the state rather than live under HB 56. Crops have been left rotting in the fields, causing farmers to lose millions. Immigration must be a federal issue. It is simply untenable to have 50 different immigration policies across the country. The nation must speak with one voice on this issue. Frustration with Congress’ failure to reform the nation’s immigration policy is not sufficient reason for states to create a patchwork of policies that throw lives into disarray and sow fear, bigotry and confusion in communities. State legislators must recognize the impact is simply too high of a price to pay to make a political point. The SPLC has been heartened by the response of the federal government to HB 56, particularly that of the Department of Justice, which has challenged the law in federal court. However, another federal agency, the Department of Homeland Security, has played a deeply troubling role in enabling HB 56 to funnel Alabama’s immigrants into deportation proceedings. Though Homeland Security Secretary Janet Napolitano has stated that her agency will not help Alabama implement HB 56, we have yet to hear specifics about what that means. Immigration and Customs Enforcement (ICE) has conducted raids and other enforcement actions in Alabama that have terrorized immigrant communities and threatened to trample their civil rights. This was vividly illustrated in December 2011, when armed ICE agents raided apartment complexes and mobile home parks in Fort Payne and Collinsville, entering homes without permission and even interrogating young children about their parents’ whereabouts. ICE also continues to detain and deport people as a result of HB 56—a law the Department of Justice has decried as unconstitutional. The result is a contradictory message from the federal government that has pledged to protect the civil rights of the immigrant community but at the same time engages in activities that threaten to violate those same rights. These enforcement actions by ICE must cease. HB 56 is a self-inflicted wound—the product of short-sighted lawmakers unable to see beyond the most immediate political opportunity. Though the impact of similar anti-immigrant laws in Arizona and Georgia clearly foreshadowed its legal and economic fallout, HB 56 was passed with little regard for the hardships those states have experienced.